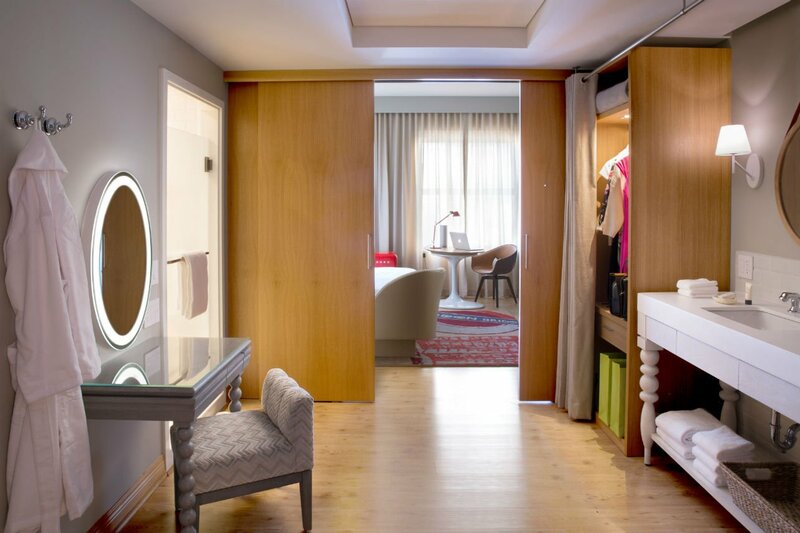 Virgin Hotels has announced a partnership with Gap that will provide guests the option to have the latest Gap styles delivered direct to their hotel Chamber. By using Gap’s Reserve in Store technology, guests of Virgin Hotels Chicago can shop on gap.com to reserve the style that they want and within a few hours try on and purchase the items that they reserved – all within the privacy of their Chamber. Gap’s Reserve in Store technology makes it easy for customers to shop online, place their favourite styles on hold and pick them up at their local store. They simply select their item online, click ‘Find it now’ to see options from nearby Gap stores where they can reserve their size and colour and, within an hour, get an email confirm the item has been placed on hold at the store they’ve selected – along with easy pick up instructions. If they like the item when they try it on, they can buy it. If not, they leave it. Through the Virgin Hotels partnership, this takes on a new twist. Guests access Gap.com via Lucy, the hotel’s mobile app, or by visiting the Virgin Hotels website and then selecting the styles through the Reserve in Store button, and the hotel takes it from there. Guests need never leave their Chamber, instead finding the items they reserved already tucked away in their closet. “We’re thrilled to be a part of Gap’s first-ever Reserve in Store program for travellers. Virgin Hotels aims to bring innovation and change to the hotel industry, all while enhancing and easing the guests’ stay. Having your trip’s wardrobe delivered straight to your Chamber, all by clicking a button, is a service we know our guests will love,” said Doug Carrillo, vice president sales and marketing, Virgin Hotels. To celebrate the partnership and to offer something special for those needing style inspiration, Gap and Virgin Hotels will come together to feature exclusive looks by Gap’s most popular styld.by editors, with photos shot in the Chambers at Virgin Hotels. And all members of the hotel’s preferences programme, The Know, will get a special offer to redeem at Gap. To find out more, head to the Virgin Hotels website.